Cebu, an emerging powerhouse in the national tourism industry, prides itself in being one of the premier Philippine destinations as well as a gateway to the wonders and spectacles of the far reaches of the globe. 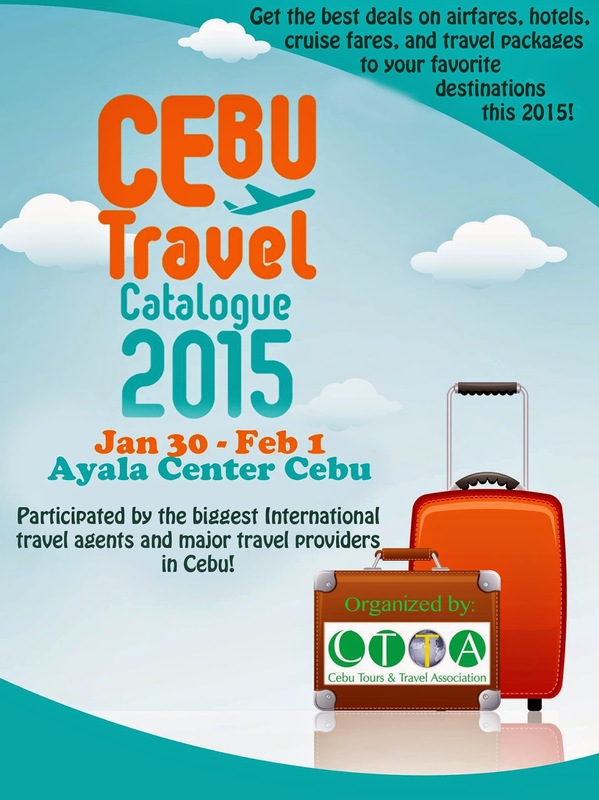 In promotion of local and international travel, The Cebu Travel and Tours Association will once again be holding its 3-day Expo: The Cebu Travel Catalogue 2015 at the Ayala Activity Centre CEbu from January 30th to February 1st. With its aim to open up Cebuanos to different travel deals, offers and even assistance the event will be participated with a total of 80 booths spread around the Ayala Activity Center. Booths for various travel agency, tourism offices, airlines both local and international players as well as real estate and insurance firms to name a few. This One-Stop-Shop offers deals, flight assistance, hotel reservations and even group rates from various destinations await visitors of the said even. I can't wait to check them out. Offers and discounts are only exclusive for the event and will only be announced on the day itself. This opens up Cebuano travelers and neighboring cities to travel locally and abroad. This is definitely something to look forward to! See you there! Event is from January 30th to February 1st at Ayala Center Cebu!